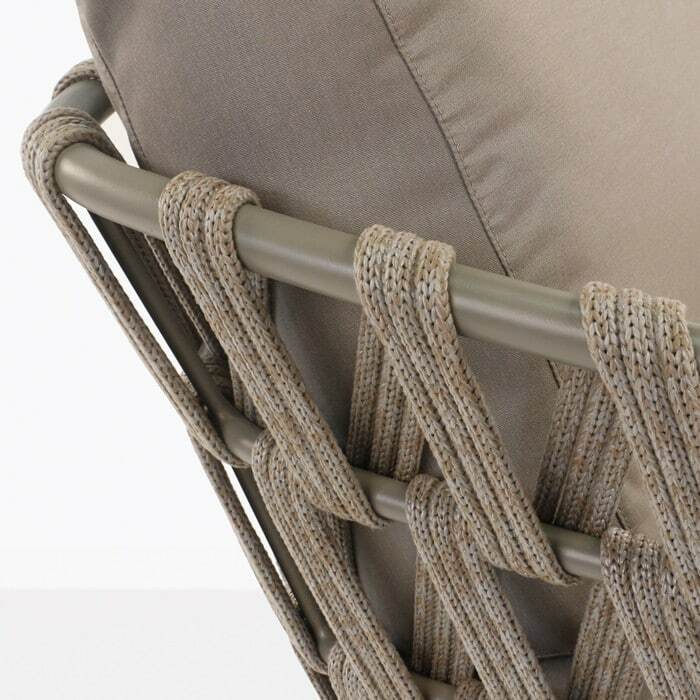 The Wellington Rope Outdoor Club Chair is very volumetric for a single seat club chair, perfect to sit anyway you would like to read a favorite book, chat, meditate, or add another person because there is room. 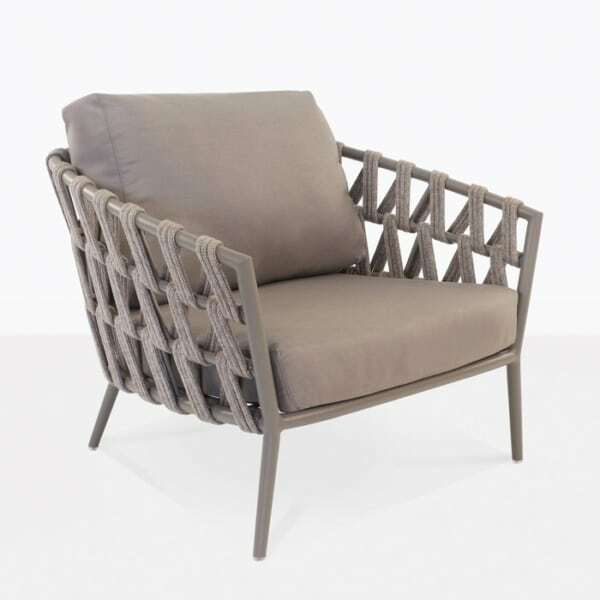 This is the ultimate relaxing mood chair. 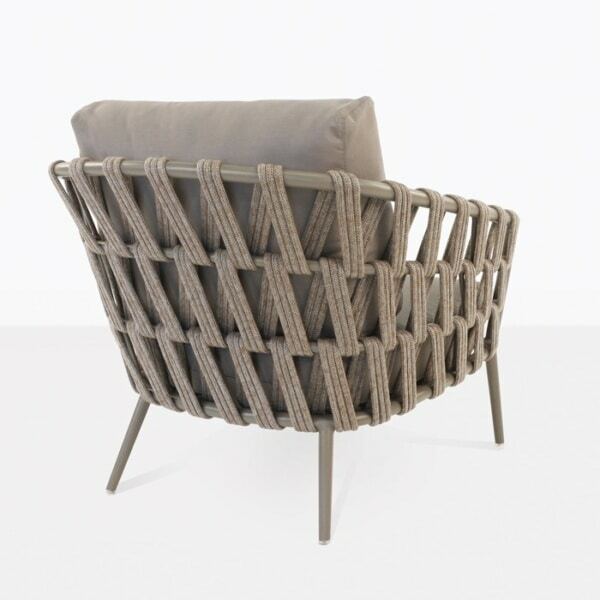 The texture and style of this modern classic chair shows how far we have come in developing the ultimate in outdoor materials. 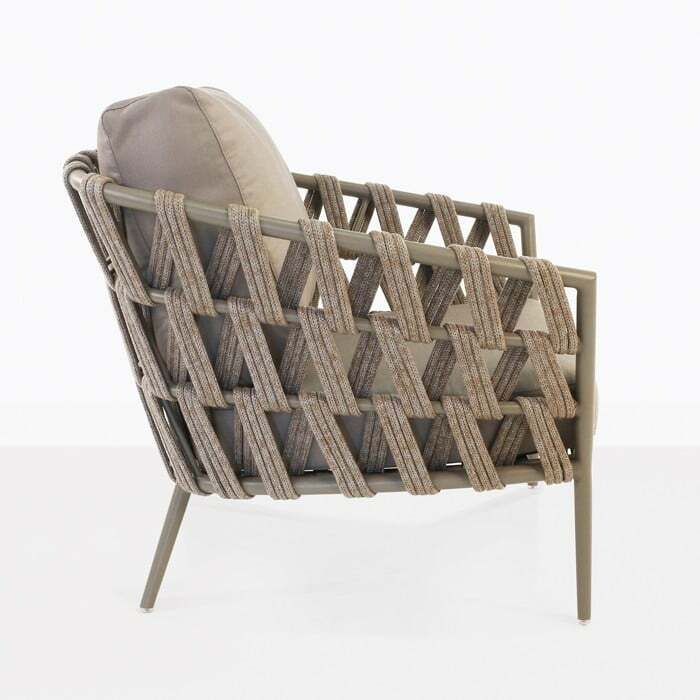 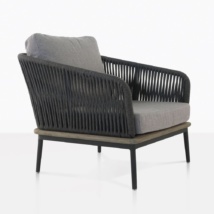 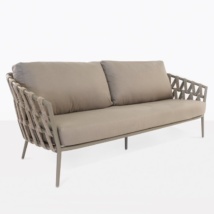 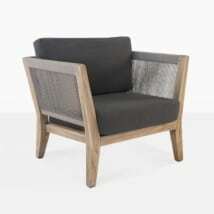 The Wellington club chair is beautifully woven with Italian polypropylene fibers around a powder-coated aluminum frame. W33.1" x D34.3" x H33.1"
Create the perfect combination. 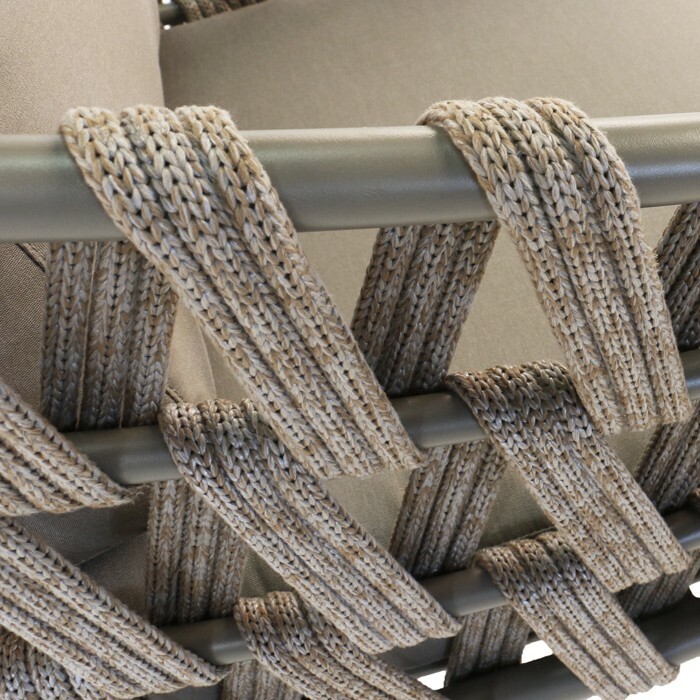 Add one of our side tables for that 6pm cocktail, and relax in the sumptuous Sunbrella® cushions. 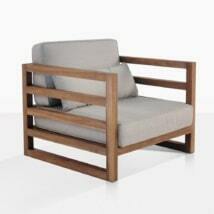 This outdoor club chair also has a matching 3-seater sofa, and the grand 4-seater sofa. 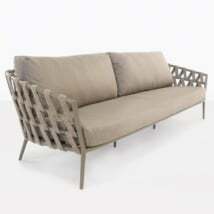 All completely made with outdoor materials for long lasting outdoor enjoyment. 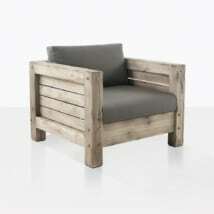 Cushions as shown are included in our pricing. 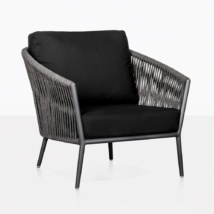 This club chair will arrive at your outdoor space fully assembled.